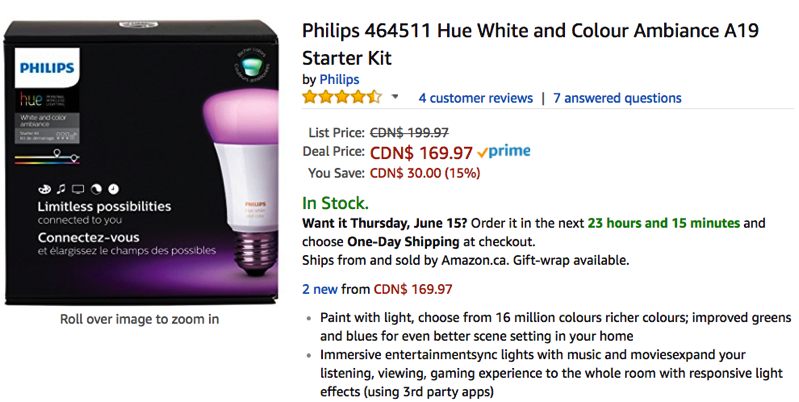 Amazon.ca has the Philips Hue White and Colour Ambiance A19 Starter Kit on sale for 15% off at $169.97 (save $30), the lowest price its been on the retailer. This third generation starter kit contains 3 Hue A19 white and colour bulbs, plus the bridge. 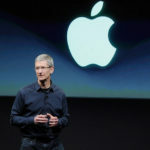 You’ll get to choose from 16 million colours and sync lights to third party apps. You’ll be able to use this setup with Apple’s HomeKit, meaning you can control it via Siri no matter where you are and setup automated scenes. This will also work with Nest smart thermostats. Click here to buy the Philips Hue White and Colour Ambiance Starter Kit while it’s still on sale—you still have time to have this delivered in time for Father’s Day.